Cisco VOIP Business Phones - BOSS Business Systems, Inc. Tired of your phone provider? We saved over 50% on our phone bill and have better quality calls and service without the long contracts. With the power of Cisco IP Phones hosted by Cisco, it is hard to beat the quality. The reason, it is a Cisco product from end to end so there is no one else to point your finger at if there are issues. 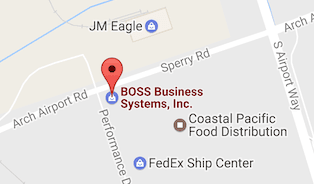 The best part is, that you can keep your money local by passing it through BOSS as your Cisco authorized re-seller. Windows, Mac, iOS, Android full functioning application. Receive calls on your computer, laptop, cell phone, tablet, etc. Very secure instant messaging application to communicate, share files and hold conferences between team members. Video conferencing and digital white board integration for conference rooms. Unlimited local and long distance (U.S.) for less than $10.00 per month per line! Complete the calculator below to see what you will save. All of our estimates include all taxes and fees. No hidden costs. What is your total bill for phones now? Are you currently in a contract?